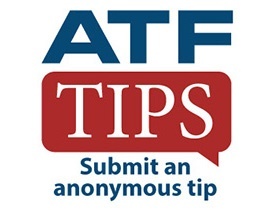 Welcome to ATF’s Los Angeles Field Division website. From California’s Central Coast, extending south to the Mexican border, we cover the counties of Los Angeles, Orange, Riverside, San Bernardino, Ventura, Santa Barbara, San Luis Obispo, San Diego and Imperial. Our dedicated work force is comprised of special agents, investigators, auditors, technicians and support staff. Read more about the LA Field Division. Text the code ATFLA to 63975 and then follow the link to create a report.